This revised and updated edition for 2017 includes the royal palaces of Hampton Court, the Tower of London and the Inigo Jones Banqueting Hall at Palace of Whitehall, and the Royal Courts of Justice, Supreme Court and Bow Street Magistrates Court. From Tower Bridge to Battersea Power Station, Big Ben to the Old Bailey, embark on a thrilling tour of the hidden interiors of some of London's most iconic buildings. Celebrated photographer Peter Dazeley takes you deep into the boiler room of the city's infrastructure, into the changing rooms of our greatest temples of sport, into the heart of the Establishment, and behind the scenes at the most opulent buildings in the Square Mile. Photographs of these extraordinary buildings - some derelict, but many still working - are accompanied by the story of how each of these places was created, how they are used, and what they reveal about the currents of power flowing through the city. 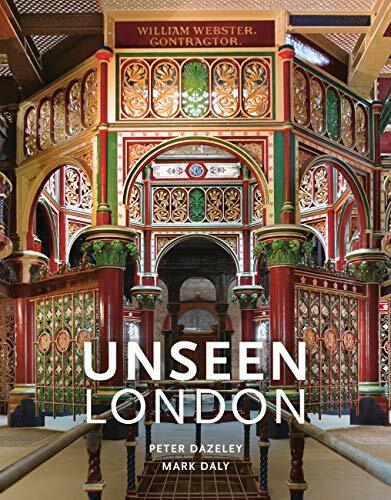 See a glimpse of London behind closed doors with this unique guide to the city's buildings, revised and updated for 2017 to include the royal palaces of Hampton Court, the Tower of London and the Inigo Jones Banqueting Hall at Palace of Whitehall, and the Royal Courts of Justice, Supreme Court and Bow Street Magistrates Court.